Enter a world of magic battles! Hidden Magic is the first-ever hidden object game that features battle mechanics! 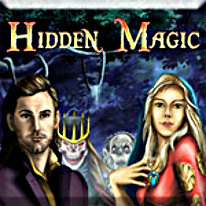 Hidden Magic is a combination of several game genres: hidden objects, adventure, strategy, puzzle, arcade and action. Complete hidden object tasks to cast powerful spells and rescue your beloved one in Hidden Magic.